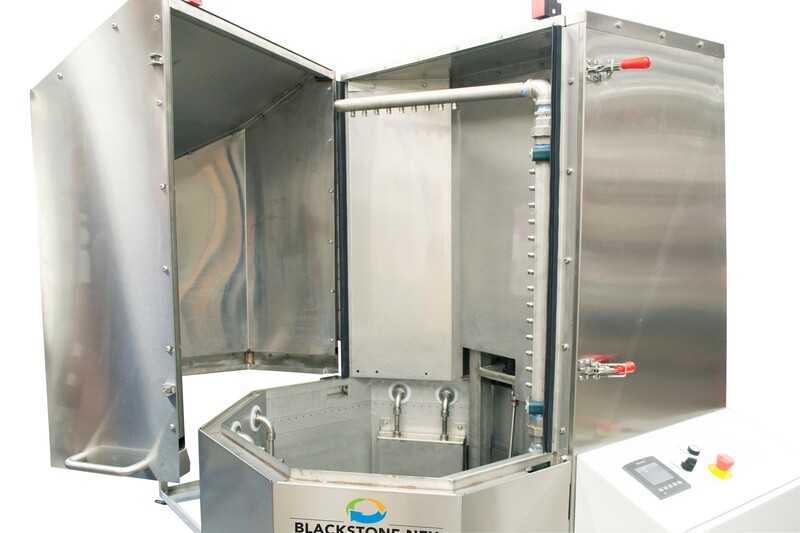 The Rotosonic™ ultrasonic cleaning system (Patent Pending) is an automated cleaning system that provides maximum cleaning efficiency through the use of high-pressure spray, part rotation, and ultrasonic energy. 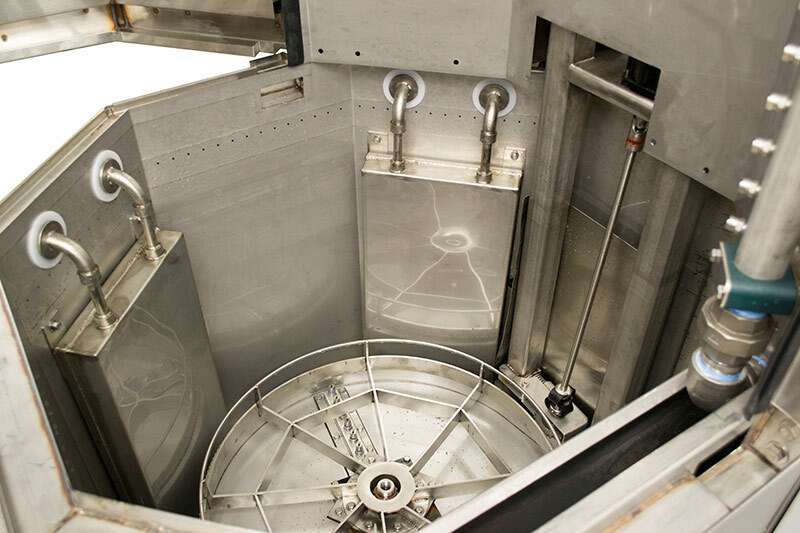 The Rotosonic will clean heavily soiled parts in a single machine rather than having to purchase a spray cabinet and an ultrasonic machine separately. It gives the ultimate in flexibility as you can either perform a single process or both, depending on your needs. The machine has a compact design and eliminates the manpower needs and safety risks of moving parts from washer to washer.